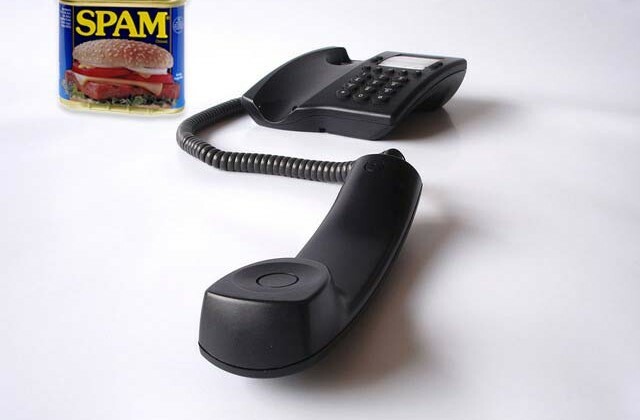 As anyone visiting this site knows, besides our focus on the extended auto warranty scams, we really REALLY hate spam phone calls (aka telemarketing phone calls). I’m sure you’ve received phone calls from unknown numbers. Did you know that if you them call back you might end up with a hefty phone bill at the end of the month? Yep, those one-ring hang-ups are usually scammers hoping you’ll call them back. Sometimes it’s so that they can verify a live phone number (especially if you actually answer the call; the tip-off is that the call is instantly terminated). This is so that the scammers can then sell your number for top dollar to other scammer-spammers. Nice gig, huh? Hey, it beats actually working for a living, I reckon. The worst case scenario is that you might be frustrated (or curious) and call back that unknown number, only to be informed by an automated voice that “the mailbox of the phone number you called is full.” Ruh-roh! You’ve just returned the call of a scammer — better alert your phone company, posthaste! First you’ll receive a phone call from an unknown number. True to their name, they’ll ring once and hang up. If you call the number back, you’ll be put through to an international number who will charge you premium rates, and drain all of the dollars from your account. You won’t find out exactly how much has been charged, until your phone bill knocks the wind out of your sails. Scammers make big paychecks out of defrauding innocent people, so they’re not about to quit the practice anytime soon. The easiest way to prevent scam callers from stealing your hard earned cash is by being aware of them. Never answer calls from unidentified numbers. If you want to know who called you, use a Reverse Phone Lookup to safely identify unknown callers. Only when you know that the caller is someone you can trust, answer or give them a call back. Most of these scumbags are offshore, so good luck trying to get any justice after the fact. The US Do Not Call Registry means nothing to them, unfortunately. The best thing you can do is to be wary of unknown phone callers. Always, ALWAYS use a reverse lookup when the number ends up in your phone log. If it’s an important call, the caller will leave a message — and even then, be wary. Remember, the object of these scammers is to empty the contents of our bank accounts into theirs.